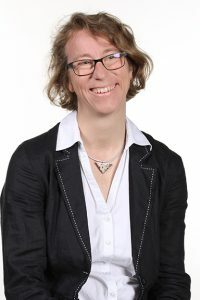 Gudrun Wallentin has her main research focus on spatial simulation modelling, including but not limited to the ecological domain. Gudrun graduated from the University of Innsbruck with a diploma in Ecology. After working several years as the executive director of the Nature Park ‘Zillertaler Alpen’ in Austria, she continued her academic studies at the University of Edinburgh, from where she holds a MSc in GIS. In her PhD at the GIScience Institute of the Austrian Academy of Sciences in Salzburg, she applied methods of GIScience and spatial simulation modelling to the domain of ecology. Since 2011 she works at the Department of Geoinformatics – Z_GIS at the University of Salzburg, where she leads the UNIGIS MSc team.